According to jazzstandards.com, the song was inspired by Max Miller’s 1932 best-selling novel of the same title. 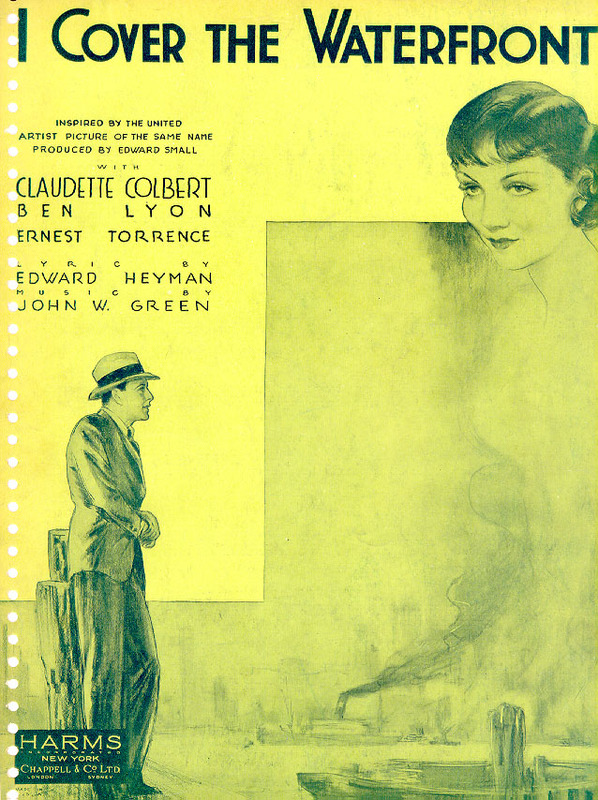 A 1933 motion picture of the same title was also inspired by Miller’s book and was re-scored at the last minute to include the tune. The story, of both the novel and the film, concerns an investigative reporter covering a dockland smuggling operation, and his romantic involvement with the daughter of the man he is investigating. While the phrase used as the song title might lead you to anticipate a narrative by the reporter, the lyrics in fact paint only the picture of a constant lover, waiting, with eyes on the waterfront, for the return of a missing beloved. The sad and lonesome lyrics express longing for a lover across the sea. In contrast, the narrator of the book isn’t sad, doesn’t admit to being lonesome, and has no lover anywhere. Aside from the reference to the hurtful city and the “desolate docks” in the first two lines of the introductory verse, the words written by Heyman have nothing to do with the harsh realities of life in the city, or specifically in the crime underworld of a city’s waterfront districts. Instead they move “away” from such matters, leaving them behind for the realm of pure sentiment. The words have the scent of 19th century sensibilities, yet are constructed in the concise lines demanded of a classic Songbook era lyric. Will the one I love be coming back to me? The words of the jazz standard are abstract enough to make the gender of the singer irrelevant. It has been recorded by both male and female singers from very beginning. 1933 recordings include those by Annette Hanshaw, Abe Lyman’s California Ambassador Hotel Orchestra, Connie Boswell, Louis Armstrong, Joe Haymes and His Orchestra with the vocal by Cliff Weston, and Eddy Duchin and His Orchestra with the vocalist Lew Sherwood. 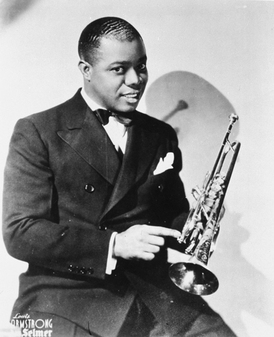 Louis Armstrong and his Orchestra — filmed in Copenhagen, 1933 — The supposedly live audience shots and applause appear to be canned. Billie Holiday — date unknown — According to billieholidaysongs.com, there no less than eleven Holiday recordings of the song between 1941 and 1956, nine of them live. It is based on “Crime on the Waterfront”, a series of articles in the New York Sun by Malcolm Johnson. The series won the 1949 Pulitzer Prize for Local Reporting. The stories detailed widespread corruption, extortion and racketeering on the waterfronts of Manhattan and Brooklyn. I came across the Max Miller novel of “I Cover the Waterfront” a few days ago, which up until now I related mostly to the Billie Holliday song of the same name. The book’s a great Noir proto-Beat piece of writing… some fine “boilerplate” reading.